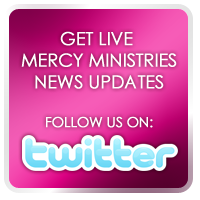 Mercy Ministries News: Mercy Resident Gets Her Miracle! Nashville resident, Andrea, came to Mercy Ministries looking for a miracle, not just for herself, but for her unborn daughter. Andrea came to Mercy severely depressed and facing an unplanned pregnancy. While at Mercy, God restored Andrea’s hope and transformed her life, and on Friday afternoon, she gave birth to a beautiful baby girl! Isabella was born at 1:28 PM weighing 5 pounds and measuring 18.25 inches long. She came a little earlier than expected, but both mom and baby are healthy and doing well. Andrea made the brave decision to come to Mercy Ministries and choose life for her baby. Your support gives young women facing an unplanned pregnancy a practical way to choose life! Thank you for being a part of Andrea and Isabella’s miracle! Please join us in praying for them as they begin their incredible journey together as mother and daughter.